Which phone number should you select for your Shopify store? We explore the options. Why have a phone number at all? Having a phone number where customers can reach you is a key trust factor. An email address is not enough because anyone can obtain a free email. However, a phone number signals seriousness and commitment. Your business number should not be your personal phone. First, even if you’re still a solo entrepreneur, your customer doesn’t have to know that. Customers should not be able to look up your number and find out it’s just your personal cellphone (Yes, there are websites for people to do this but we won’t do them a favor by linking to them here). Second, as your business scales and grows, you will have to switch your personal number to a business number for obvious reasons. In such situations, it will be difficult to re-educate customers about your new number. Third, personal cellphone numbers cannot be used in Message Mate or OwnerListens. Due to limitations set by telco carriers, texts sent directly to your cellphone cannot go through an intermediary or value added services provider like OwnerListens. Fourth, and most important, while most customers are fantastic lovely people, some are not. It’s not safe to have your private number out there for a potentially distraught customer to exploit. While some customers might call you, you really should be encouraging customers to text you. It’s efficient, convenient, and does not require you to be physically available 24/7. 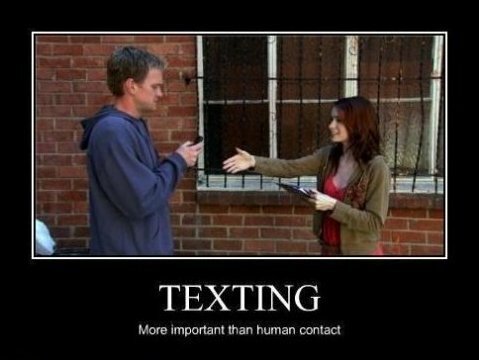 The truth is, most customers neither have the time nor inclination to speak with you… They would rather text you too. You just have to tell them it’s an option. That is what Message Mate does for you. What kind of numbers are available? What number should you get? There are several categories of numbers. The right number for your business depends on several factors but first, let’s look at your options. The cheapest and most convenient option, a regular number is suitable for most business. The number can be in any area code but it’s best if it matches your location. Different area codes could look suspicious to customers. Note that some area codes can be sold out of numbers (212 New York, 310 Los Angeles, 305 Miami) although sometimes you can get lucky and snag one (for a hefty price). You can obtain a regular long form US number by installing our Message Mate widget on your Shopify store. Regular texting numbers support SMS by default but they do not all support texting images (MMS). Image texting is more expensive and requires an image enabled number. If you need such a number, reach out to us and we’ll get you one. Note that you only need an image supported number if you expect customers to text you images (inbound). By using OwnerListens and Message Mate, you can send outbound messages with images from your dashboard without paying for an MMS number. We will append your image to the text message in a web link. The customer can click the link and see the image and you only pay for a texting number. You provide consulting to customers on problems that require a visual assessment. Examples include: skincare and makeup, fashion advice, DIY products. You need immediate graphic documentation of the customer’s issue. Examples include: insurance, legal. Again, if you need an image supported number, contact us. Ideally, before you sign up but we can also switch numbers for you after the fact. Toll free numbers are free for the caller with the charges paid by the receiving party. Telephone systems in every country set a specific prefix that indicates a number is free for callers. Toll free numbers are used to encourage customers to call since the call is free. This used to be an issue when calls were expensive and prices were higher across area codes. In many countries, including the US, telephony prices have been dropping significantly so cost of calls is no longer an issue. Toll free numbers apply nationwide. This signals that the company is big and has customers across the country. Again, with texting across area codes no longer being expensive, toll free numbers have lost some of their importance. Toll free numbers that are text enabled work like a regular texting number. This means that standard rates apply – there is no toll free texting. Additionally, toll free numbers cannot accept images (MMS) messages. Numbers with letters corresponding to the traditional phone keyboard, belong to a category known as vanity numbers. For example, 1-425-AWESOME is 1-425-293-7663. Another example is a number with many repeating digits such as 1-800-555-5555. Most vanity numbers are already taken and may or may not be for sale by their current owner. Based on our experience with thousands of businesses, vanity numbers don’t matter as much online. People simply click the number. They don’t need to remember it so it doesn’t need to be memorable. However, if you use your business number in TV or radio advertising or on a billboard or company car, a vanity number is worth considering. It may sound like science fiction but it’s not. We really can take a landline number and add a texting layer to it. Customers can text it like a regular texting number but image support is not available (we’re working on it). Text enabling a landline does not affect the voice services of that line. If you already have an existing landline number your customers know and is on all of your business materials, text enabling it might be your best move. Text enabling landlines is available in the US and Canada with other countries coming soon. There’s a one time fee to text enable a landline ($25 in the US) because this process requires going through the phone carriers but we take care of all of it for you and you don’t have to interact with your carrier at all (isn’t that a relief?). What country should your number be in? Unfortunately, phone systems are still country specific. This means you must choose a country where your business number will be located. With OwnerListens, though, your number does not have to be from the country where you are located it. It can and should be from the country in which most of your customers are located. Customers will be able to text this number and you can respond from your email or our web dashboard. You do not need to pay for international texting or data plans. In most cases, calls to the number can be forwarded to your local number but the cost of forwarding is relatively high. We advise conditioning customers to text you instead of calling and having a recorded message for callers instead of call forwarding (low cost). Customers will be happier that way and it will be easier (and cheaper) for you to handle.